Almost all kayaks can be used for fishing. But using any kayak for fishing and the one that is designed for fishing are two different things. There are easy processes through which you find your own personalised fishing kayak. Before selecting the kayak you just need to ask yourself whether your chosen kayak is giving you the following facilities or not. The main criterion for choosing a fishing kayak is its stability. The more stable you are on the water body the chances of enjoying your activity increases. A stable kayak not only gives you the freedom to stand on your feet to see where you want to lead it but also help you organise and grab the gear. To check whether your kayak is stable or not notice the width. Width is directly proportional to stability. More the width more the stability of the kayak though it may cost you the speed and the performance, however, the problem can be overcome by installing skeg/rudder system to both balances it and increase efficiency. These are the things that must be in your kayak. You may also try the kayak which is specifically designed for the anglers. A storing capacity is also matters. Plenty of storage is required if you are a gear junky. The kayak with a tank well is worth investment as allows you to carry more rods and tackles. Do check if it can easily hold your personal cooler and also crate the fishing gear. Centre console though not available in every kayak can be really helpful for getting the important stuff that you required in easily. It is also a great storage system to store fishfinder if you choose that way. The biggest confusion among the kayak fishers is whether to choose the pedal or peddle kayak. Well both of them have their respective pros and cons. Pedals quite effectively and in greater speed can cut across the large water bodies than those of paddling. Though fishing does not require the much-speeded kayak in case you need for speed it is a good choice. Keeping the kayak in place is difficult but with the pedal system, you can control it with your legs and with the little rudder adjustment. The pedal system kayak is quite expensive if you are a budget-friendly person. Sacrificing the cargo space in the deck is what you have to do. 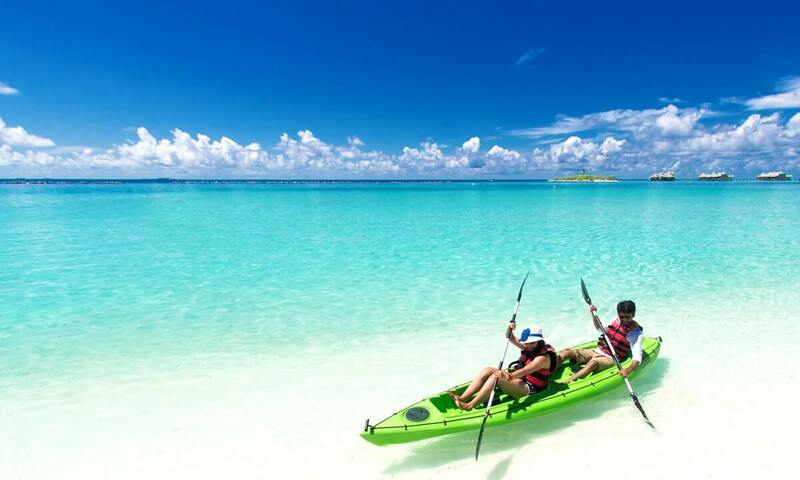 Maintenance is also required for this kind of kayak. There is no worry about maintaining minimum steps is required to set up before getting into the water. Budget-friendly option with mostly all the required things for fishing. The price starts at nearly $500. You have a clear vision regarding how much you need to peddle in case of the pedal you cannot determine it exactly. The problem resides with such traditional kayak is you need to have a full grip onto your paddle cause you can easily lose your control over the kayak. More than the legs the pressure falls on your hands resulting in the arms tires soon. Thus you cannot travel very far. A roof rack is simple enough for your kayak transportation. However, you may opt for kayak trailers for an easy loading and launching process. It is a bit expensive than the roof rack. Parking the kayak near the shore is also a matter to think about. Going for kayak cart or a wheel is a good option if cannot park the kayak close to the shore. There is a scupper plug present in every kayak that is meant to fit with the specific carts so to keep it in place when stagnant. While taking voyage it is easy to remove and can be stored into the rear tank well. Spending half of the day in a sitting position is a hard job and a comfortable seat is preferable for the riders. The specifically fishing kayak comes with that of high-end seats that are designed to comfort your back. The height of the seat also matters as the seat that is higher than the deck can make the stand-up and sit off the Fisher way easier than the lower one. But the lower seat gives a clear vision of the fish as you are close to the water. If you are opting for the higher seat kayak make sure that the paddle is longer to adjust the height between the water and you. Well, you have the vast choice to choose from, you will be a lucky one if you get to find a dealer who is genuine and does think about their customers rather than the profit. Though there is nothing to bother about because the given points are definitely the problem solver for you. With the given points you will be able to pick the best for you and get to join the over enthusiast people who are going for kayak fishing. The ultimate motive is to have fun and being safe. So keep that in mind. Customize your kayak as per your requirement. Chelermlit Parwong is an Engineer by profession and Blogging is his hobby. He has a great interest in traveling and fishing. He has more than 5 years of fishing experience. Click here to know more. How Do Life Jackets Work? 10 Deep Sea Fishing Spot: Have You Tried any One Of these yet? Top Fishing Guide is a participant in the Amazon Services LLC Associates Program which is an affiliate advertising program designed to provide a means for sites to earn advertising fees by advertising and linking to Amazon.com. Amazon, the Amazon logo, AmazonSupply, and the AmazonSupply logo are trademarks of Amazon.com, Inc. or its affiliates.